282 p., 18,1 x 25,4 cm. Bolzano held more edification speeches in the academic year 1809/1810 that in any other year in which he was teaching. During this time he held 52 of these speeches. Six speeches have been preserved as autographs, there are only notes for four of the speeches, and only the dates are known for two of the speeches. Most of the others are still in existence as transcripts reproduced in facsimile. 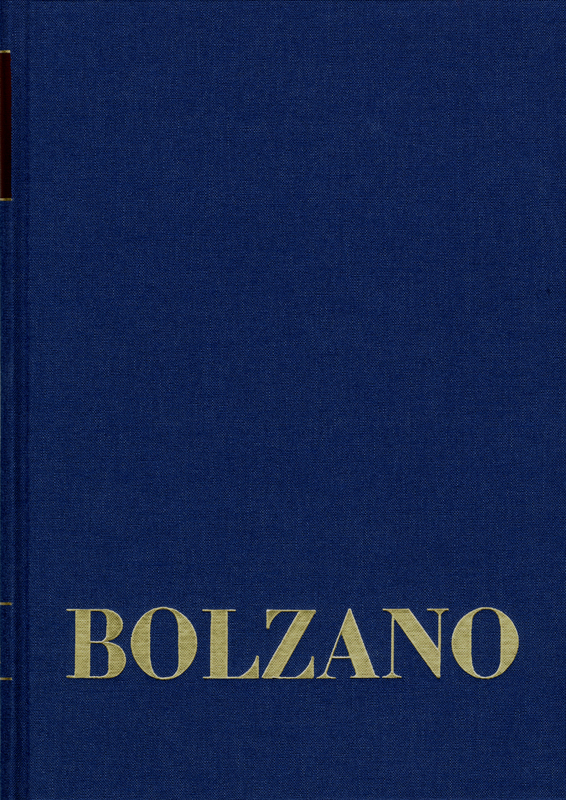 In the edification speeches held in the academic year 1809/1810, Bolzano’s concept of education, which includes the entire personality, is shown especially clearly. There are twice as many speeches which have a generally advisory content than there are speeches which deal mainly with religious issues.